If the colour fits, wear it! In mythology and palmistry, the left hand is called the dreamer because the ring finger on the left hand leads directly to the heart. I find it a very poetic idea. And that’s why I only wear nail polish on my left ring finger. I think Gloria is seriously limiting herself. Perhaps she have more cats than I do. Less husbands also… Painting only one finger would absolutely mess with my bi-polar self, I wouldn’t cope. The yin and the yang isn’t well… yanging! I think hell is a place of no colour, no books and certainly no nail polish and purple glitter. Sorry Gloria! I unexpectedly met Glamore SA online and we were chatting purple. Seriously? 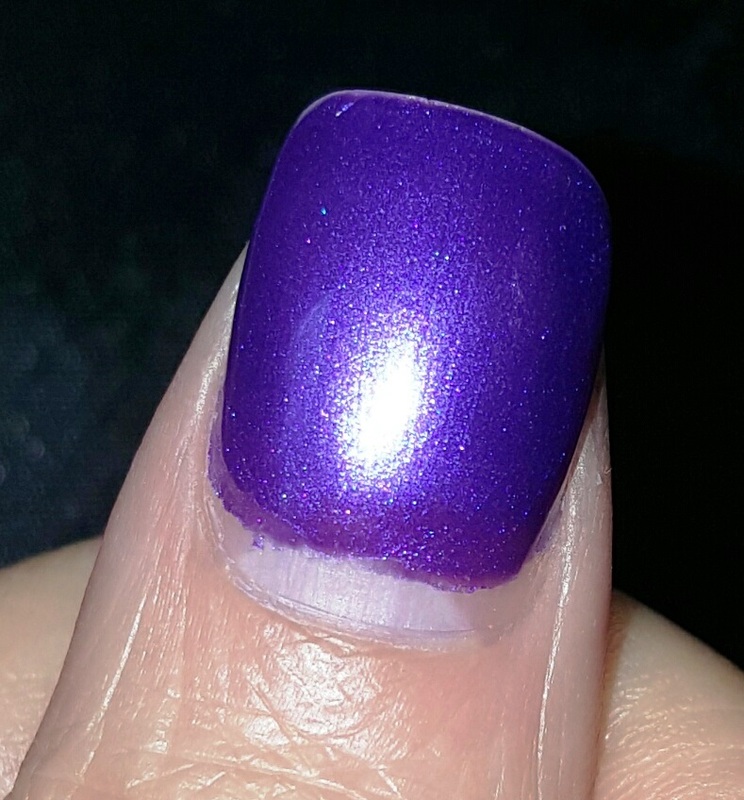 Who does that… #LeSigh I loved the colour they were showcasing Hean Jungle Pop 281, along with my daughter Victoria’s favourite colour, Hean Jungle Pop 277. Who doesn’t love a goodie bag, so when it arrived I was thrilled. I immediately contacted Thembi because one needs a professional for these things when you are me! She has been doing my nails for seven years so she has seen it all. I’ve come to the firm conclusion that anyone who works in the beauty industry is also a qualified therapist by default. Naturally it is a win-win for me. I have a captive audience who has to listen to all the nonsense that keep coming out of my mouth! Thembi come over and we played with colour. I told Thembi that I was reviewing the products and I would like to know the good and the bad. Thembi is not one to hold back! As I’ve no fine motor co-ordination in my right hand especially thanks to Ankolysing Spondilitus, Thembs is my professional of choice. Besides that, I’ve never coloured inside the box. Everyone was surprised I wasn’t wearing just purple!! Thembi was not familiar with the brand either but loved the colours and the easy apply brush. Smooth consistency without running. (Apparently that is important) She mentioned that for me, la Wenchy, who likes everything in the dramatic, three coats will be best which is what she did. The nail polish dried very fast. This is a big win for me as I’m clumsy, and inevitably Thembi has to sit me down to “fix” what I’ve smudged before I’ve even left the salon! I was quite ready to send out my blog at once because it looked fabulous, but Thembi advised me to wait, see if it looses shine and thirdly, how long will the polish last without chipping? You can clearly see how my nail has grown, but the colour … not a chip. I’m a tad amazed as I usually only get that result when I use gel. I can also mention that at functions I attended recently, numerous stylist complimented me on my nails. How fabulous is that!! You will not find these products in your local salon, unless they have purchased from Glamore Cosmetics directly, but you can conveniently order online with a delivery to your door! Thank you for spoiling me! I enjoyed it tremendously. You gifted me colours and in return gained a customer, and dare I say a friend! Previous Article In conversation with our Kyle. Next Article You are on your knees before it, and it laughs. Oh I love your take on the nail post – way better than the usual. And I am also not averse to the once in a while post. And I NEED this! Polish that last 3 weeks! Not even my gel does that? Love the colours! Very cool indeed! I Love that you are not limited to one color. 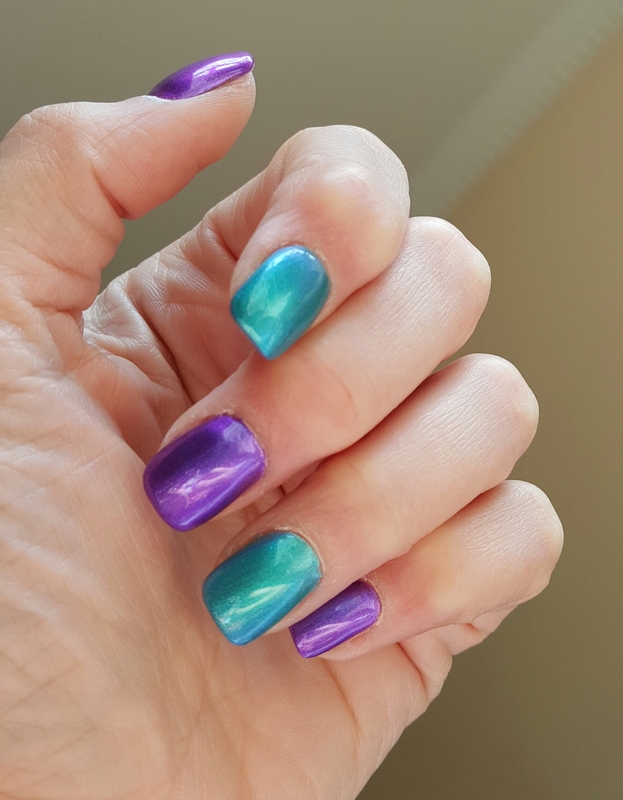 I literally just did a nail post yesterday morning, where I am also rocking two different shades. And I love the result. I have always been a loud person, colors, dress style, hair styles etc etc.